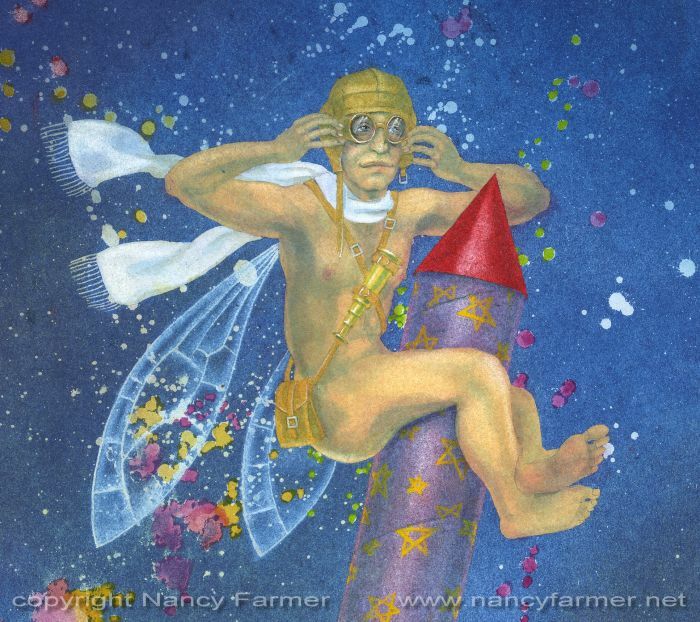 This was the November painting for my 2012 calendar, and all-fairy affair that began with one fairy for January, and continued up to 12 for December. 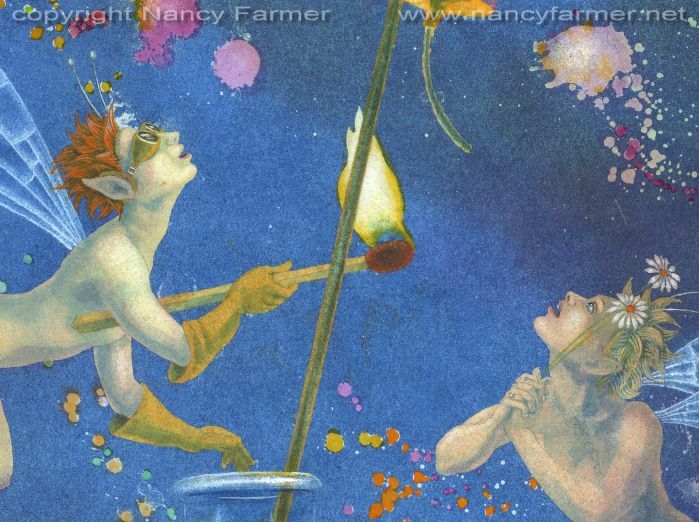 November was therefore destined to include 11 fairies, and fireworks seemed appropriate. 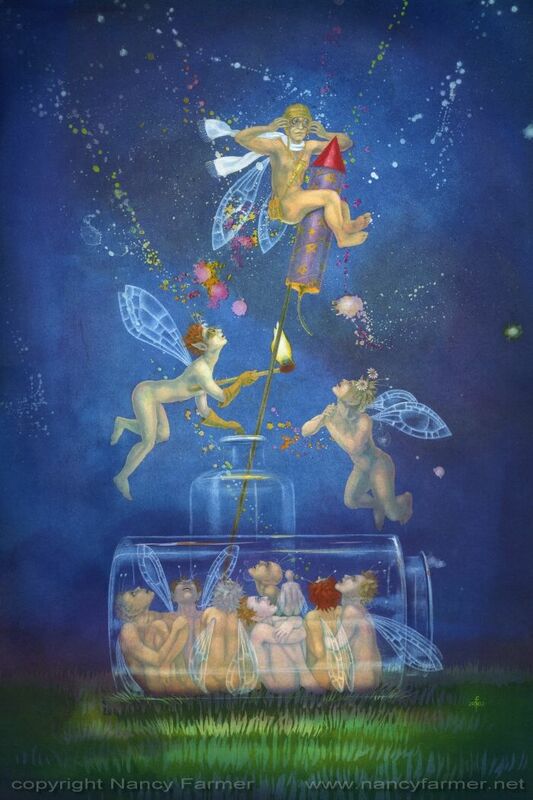 Somebody on my blog suggested 11 fairies all hanging off the end of a rocket, but it soon became apparent that that was not going to work within the confines of a vertical A3 picture! So instead we have a lone Mad Explorer type fellow, accompanied by the Plucky Young Assistant and a Lovesick Admirer. The remaining 8 fairies are onlookers, however, it would of course be highly dangerous to stand around underneath a rocket as it is 'launched', so I also added a second jam-jar for safe viewing of the whole proceedings. 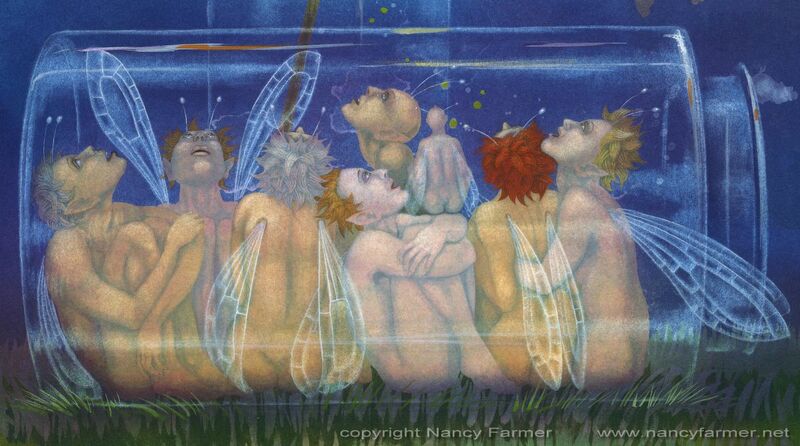 I point this out, because I have been asked on more than one occasion why the fairies are sitting in a jam-jar. It seemed obvious to me, but maybe my brain just thinks differently to other people's.